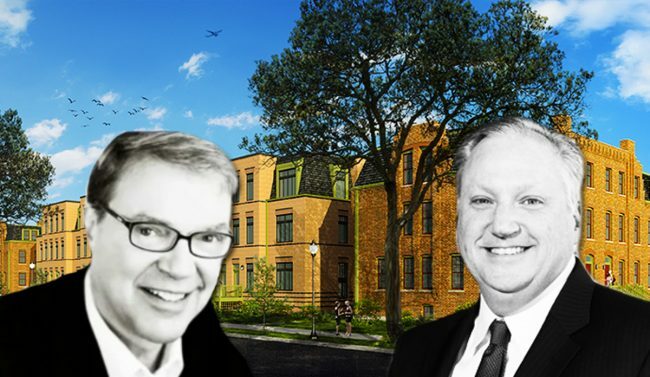 Artspace Projects and Chicago Neighborhood Initiatives have cleared the last major hurdle in their $18 million proposal for a mixed-use development in Pullman, putting the builders on track to break ground this year on the historic neighborhood’s first new housing in 50 years. The concept of a live-work space for artists has floated around Pullman since 2011, and earlier this year Minneapolis-based Artspace and Chicago-based CNI scored a permit to erect three buildings with 38 affordable units and 2,000 square feet of “community space” at the corner of Langley Avenue and 111th Street. The Pullman Artspace Lofts would include a public gallery, classrooms and working studio. But the project stalled when the U.S. Department of Housing and Urban Development ordered a review by dozens of state and local agencies to determine whether it would meet historic preservation guidelines in a neighborhood designated a national monument in 2015 by then-President Barack Obama. That review is now complete, and the city’s department of Fleet and Facilities Management is the latest agency to give a thumbs-up, CNI announced. Built in the 1880s as a company town for railroad magnate George Pullman, the Far South Side neighborhood’s preserved brick bungalows have re-emerged in recent years as a hub for independent sculptors and illustrators. Construction is expected to get underway on the 32,000-square-foot development in late summer or fall of this year, according to the developers.